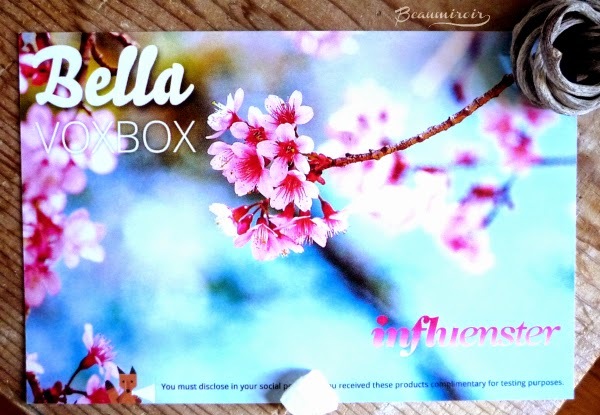 Last week I received a box of goodies from Influenster, the Bella VoxBox. After getting the good news that I had been selected for this box, I tried my best to avoid spoilers, so the content was a complete surprise for me. 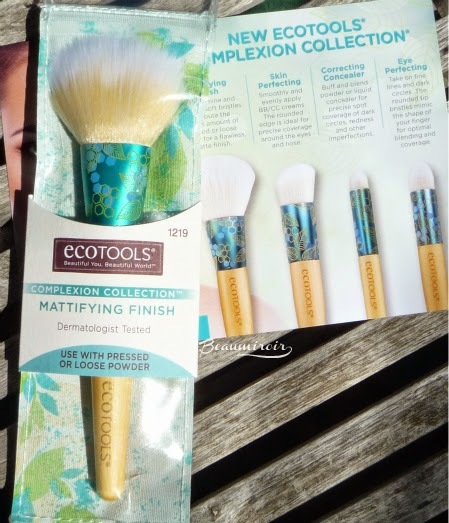 - EcoTools Complexion Collection Mattifying Finish Brush. Yay, one of the new pretty EcoTools brushes with a teal ferrule! This one is a face brush with medium density that I think will be good to apply finishing powders very lightly. - Dove Fruit: chocolate treat? I'm in! 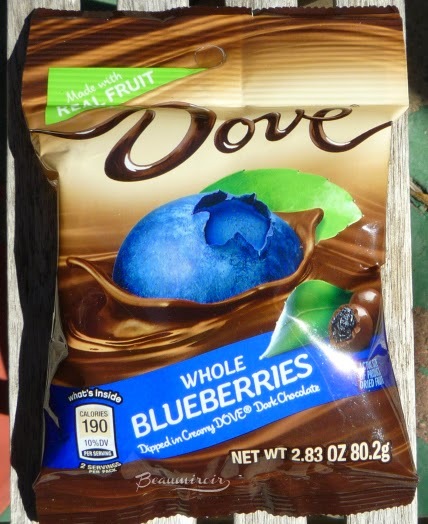 I received the blueberry version of this new product, which is basically whole dried fruit covered in chocolate. It was pretty good, the chocolate was good quality (I'm difficult with chocolate) and they were all gone within an hour of opening the box, so I don't have a picture of the actual product to show you - oops! - Not Your Mother's Déjà Vu Do Style Extender. This is a hair primer that's supposed to keep hair clean longer and keep your style fresh. It has a strong fruity smell and doesn't make the hair greasy at all. I'll have to test this a few more time before I can give my opinion on it. 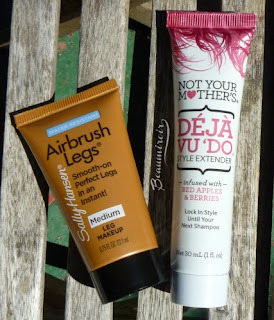 - Sally Hansen Airbrush Legs. Where was that product when I lived in France! I might need it less now in Southern California, spending about 10 months of the year in shorts and skirts, but I like the idea and have used similar products in the past. The shade I received looked super dark out of the tube but it's actually pretty natural once spread out and blended into the skin. 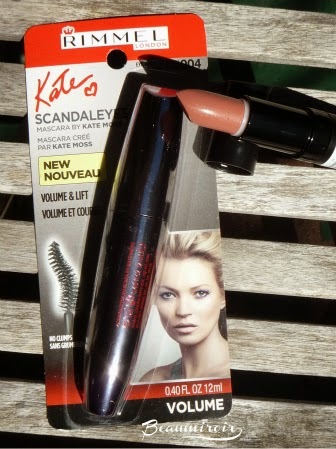 - Rimmel Scandaleyes Mascara by Kate Moss. Its brush has a unique shape that Rimmel calls "broken-heart" and so far I'm liking it. It helps me reach lashes in the outer corner. 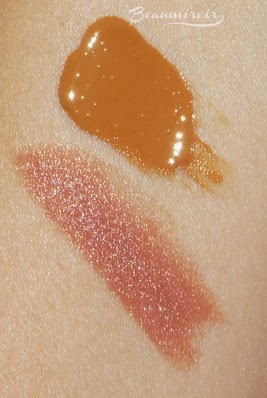 - Rimmel Lasting Finish Lipstick by Kate Moss in shade 14. Nice full coverage lipstick in a satin-matte finish. I'll review both Rimmel products in depth in the coming weeks. 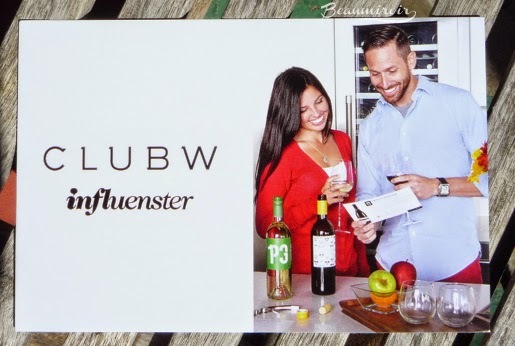 - offer for Club W, an online wine club with an iPhone app. Being a wine drinker I'll probably use this offer but I haven't had much time to look at the website yet. Overall: great box with only products I'm really excited about! 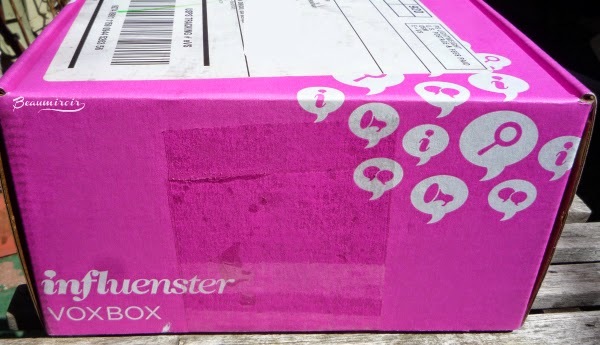 The products featured in this review were sent to me by Influenster for testing purposes. I received no compensation to write this post, which only reflects my personal opinion. This post contains affiliate links. You got a really nice variety of products. 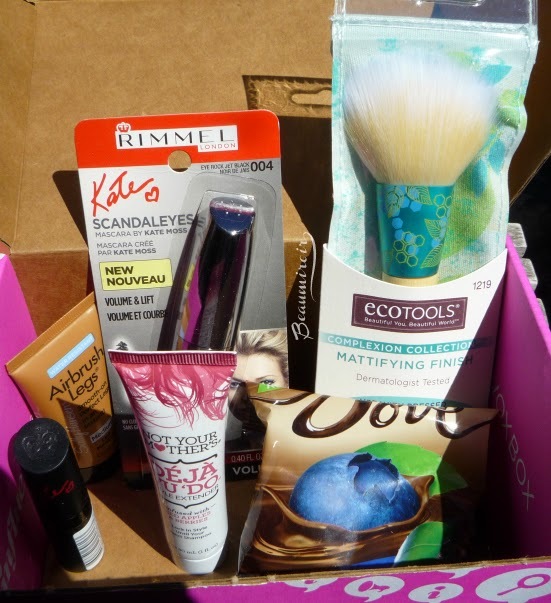 The Eco Tools brush and that Rimmel lipstick are my favorite! Yes I really love this box! I was so excited when I saw the brush! I agree, this is a pretty nice box!